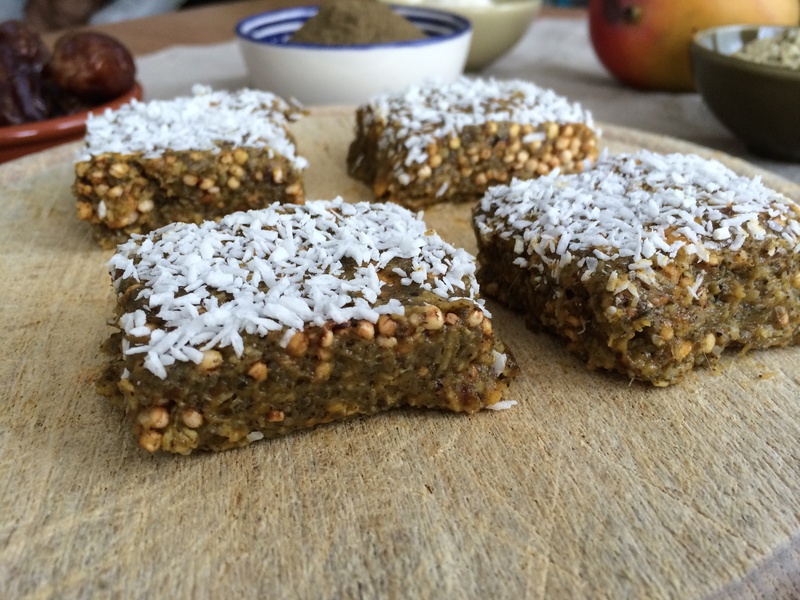 These Mango Hemp Protein Bars taste absolutely amazing, are easy to make and provide your body with essential nutrients to keep you going. These high-carb and high-protein bars can also help you speed up your recovery after a work-out. The carbs in the form of mango and dates help restore glycogen levels immediately after a work-out. After a workout you also need protein to help your muscles recover faster and to speed up muscle protein synthesis. It’s important to eat a high carb high protein snack within 20 minutes of your workout. But your choice of carbs and proteins matters. Carbs and protein should come in an easily digestible form so your body can put all its energy in repairing your body. 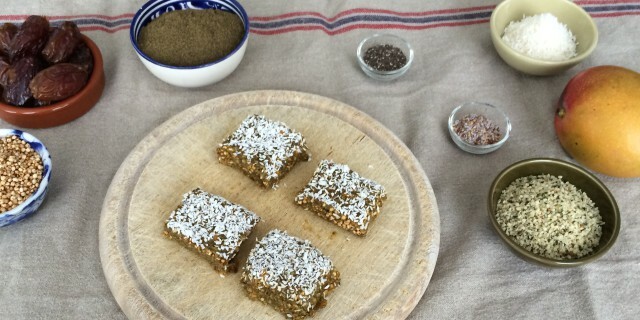 These Mango Hemp Protein Bar are tich in easily digestible protein in the from of hemp, coconut and chia seeds. To repair your body you also need the right dose of healthy fats. Hemp, coconut and chia seeds are rich in essential fatty acids to prevent your muscles from breaking down and help your body absorb nutrients. For muscle repair your body needs other important nutrients too, like B vitamins and other antioxidants that help fight post-workout inflammation. 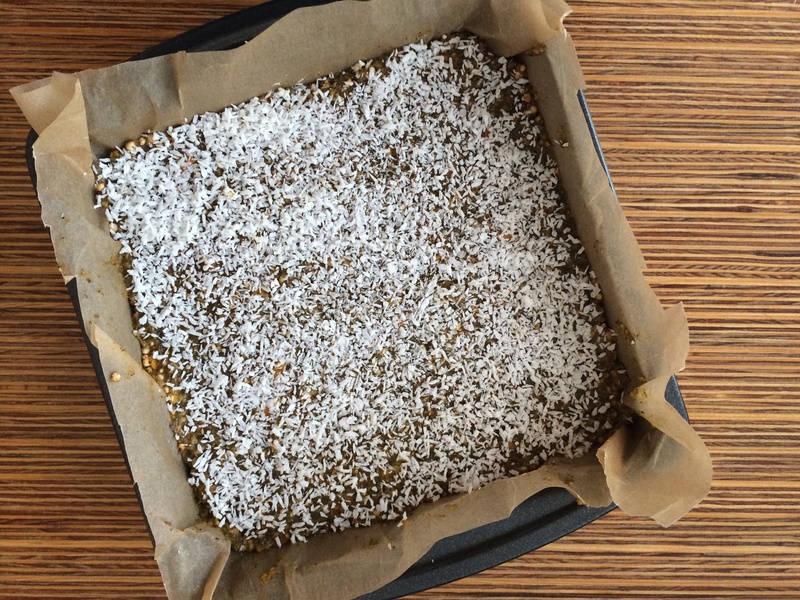 These Mango Hemp Protein Bars provide a wide range of antioxidants to support your recovery. Last but not least, sea salt helps replenish electrolyte levels. After a workout you lose essential minerals like calcium, magnesium and sodium by sweating, which are important for the optimal functioning of your muscles. 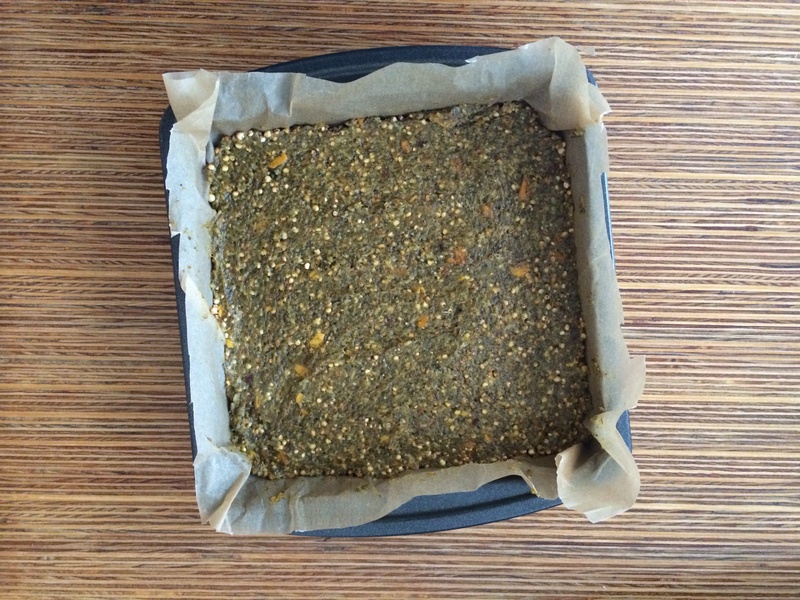 Enjoy these tasty Mango Hemp Protein Bars! They taste absolutely incredible and I can promise you, you’ll never go back to store-bought energy bars again. If you want to find out more about plant-based sports nutrition, I recommend checking out this fantastic book. Add all ingredients to a food processor, except for the puffed quinoa and 2 tbsp of grated coconut (for garnishing). Mix well. I like a bit of crunch to my energy bars so I take them out before it becomes a smooth mixture. Line a small square baking tray with baking paper and add a small layer of the mixture. Add 1/4 of the quinoa puffs and press them into the mixture. 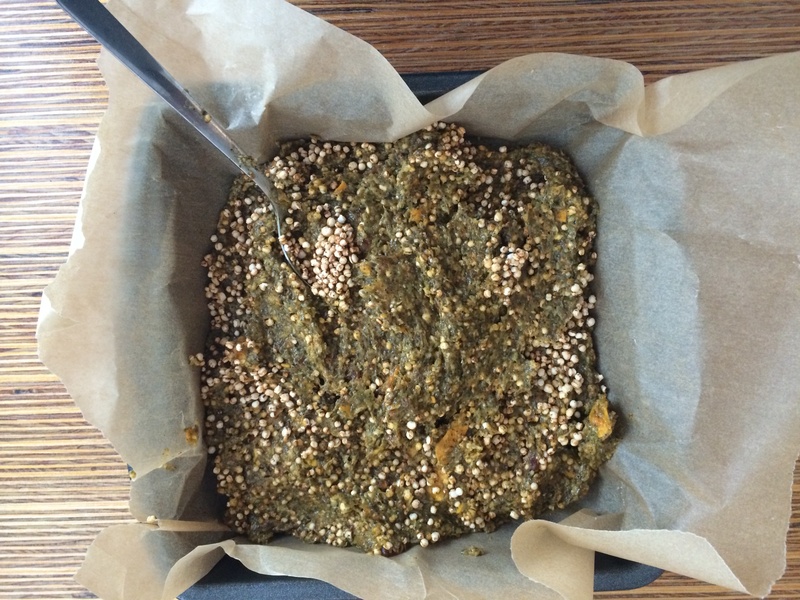 Keep layering and keep adding the quinoa puffs until your baking tray is full. Smooth out the mixture with the back of a spoon and sprinkle the rest of the coconut on top and, using your hands, press the coconut into the mixture, so it’s sticks to the rest of the ingredients. Place baking tray in the freezer. When solid (they won’t freeze rock solid), cut into bars. You can use cling film to individually wrap them so you can take them on the go.